1. I can’t get this computer to work today. I don’t know what is going on. 2. I don’t know what went on here, but it sure is a mess. 3. He wanted to know what was going on in the hallway. 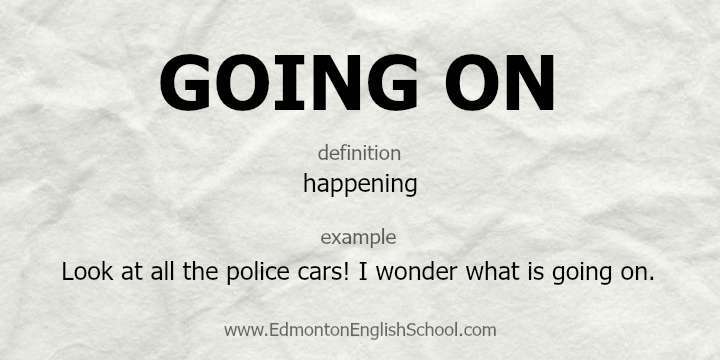 Note: This phrasal verb is most commonly used as either is going on, or was going on (i.e., either Present Continuous, or Past Continuous).